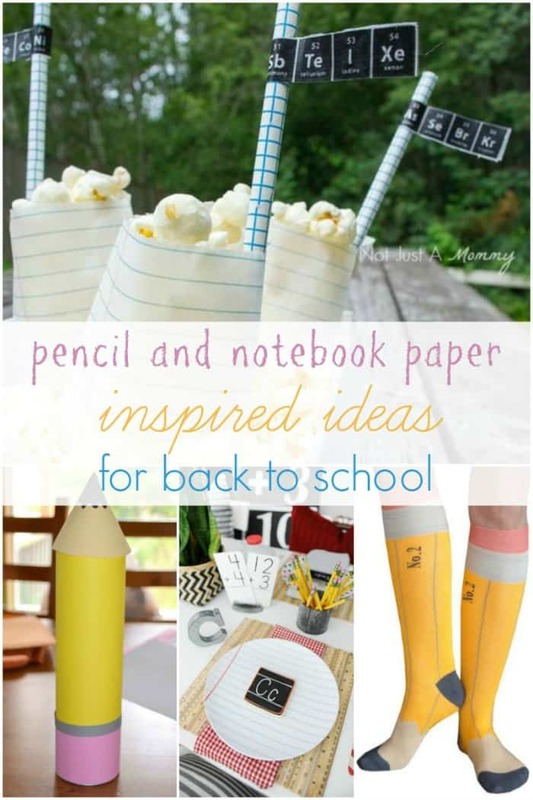 This Back To School Party Pencil & Notebook post is courtesy of our contributor Dawn of Not Just A Mommy…Some of you are already back to school, I can’t even believe it! Our district doesn’t return until after Labor Day. Either way, everyone is sharing lots of great school themed ideas and I’m no exception. With all of our devices and digital advances, technology can fail you and nothing beats using a good old pencil and notebook paper. 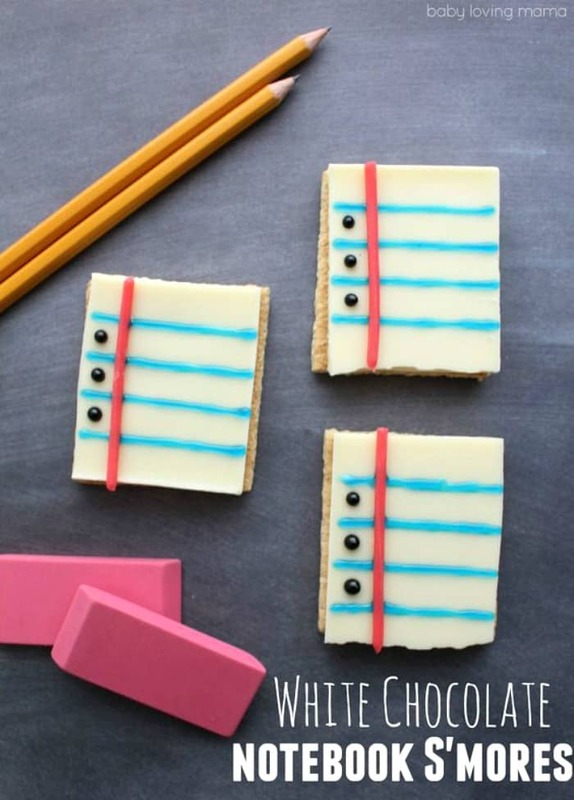 In the spirit of nostalgia, here’s a fun roundup of crafts, products and snacks you can use for welcoming in the new school year. 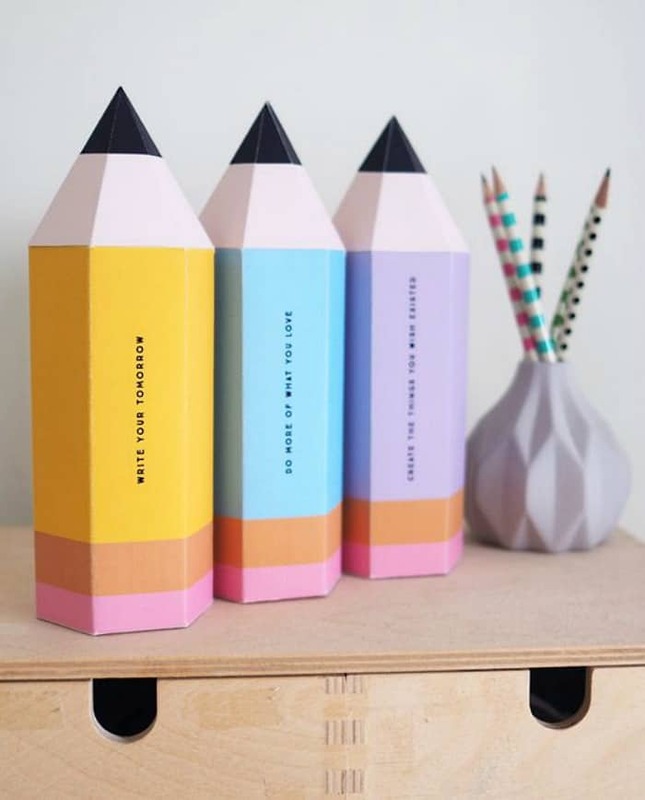 A great pencil box download from Design Is Yay! 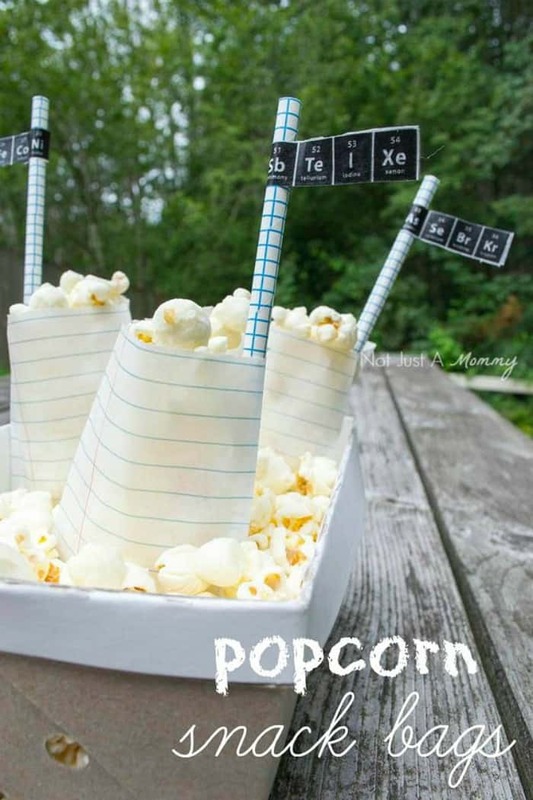 I filed notebook Little Bitty Bags with popcorn for a fun playdate snack idea. Cute tags from Damask Love made from paper punches. 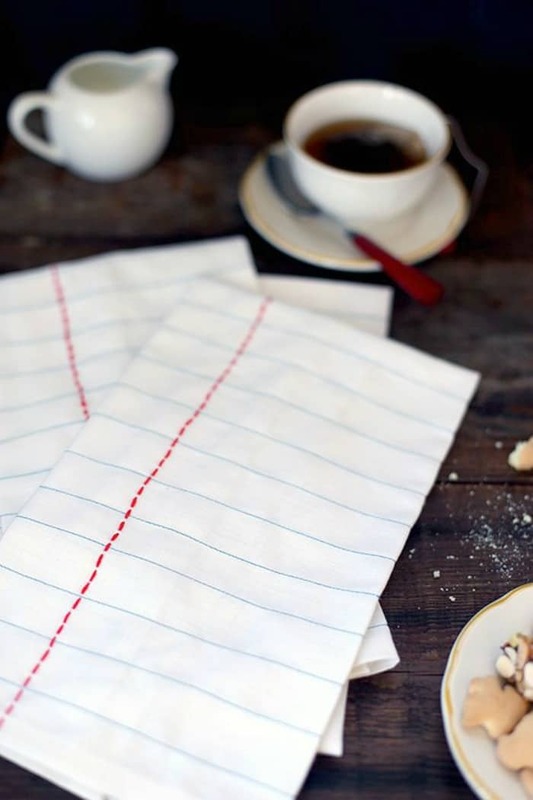 An easy tea cloth DIY from Say Yes. 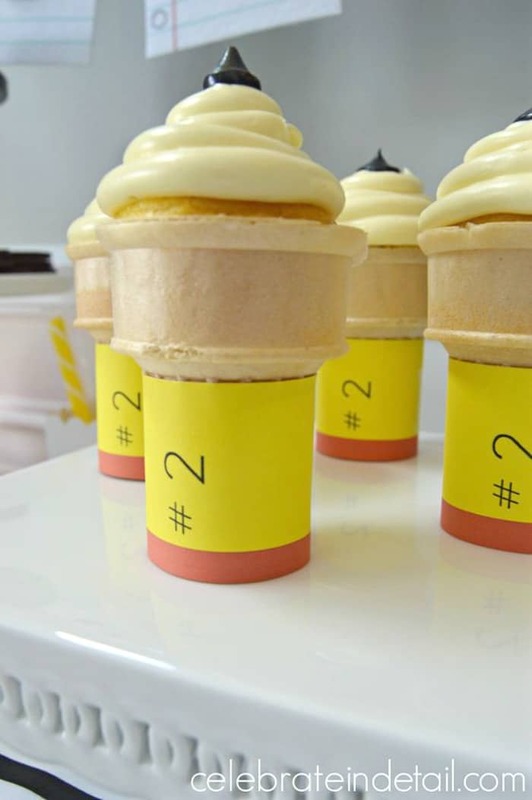 Turn ice cream cones into cute cupcakes with Celebrate In Detail. Kelsie’s Nail Files gets those digits ready! 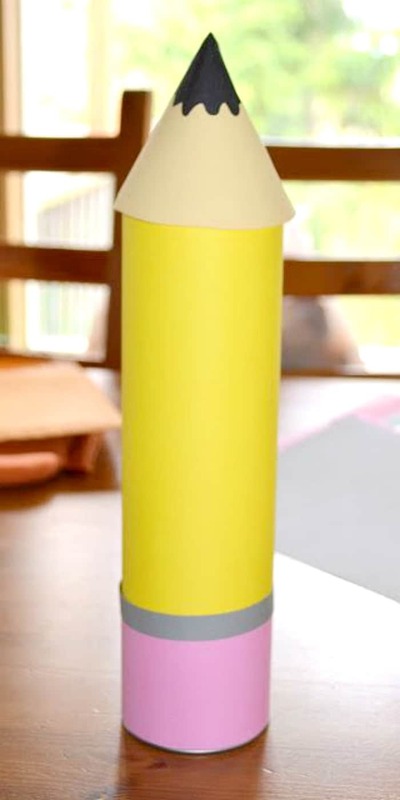 Check out how I turned a Pringles can into a gift holder. Yum! Notebook s’mores with Finding Zest. 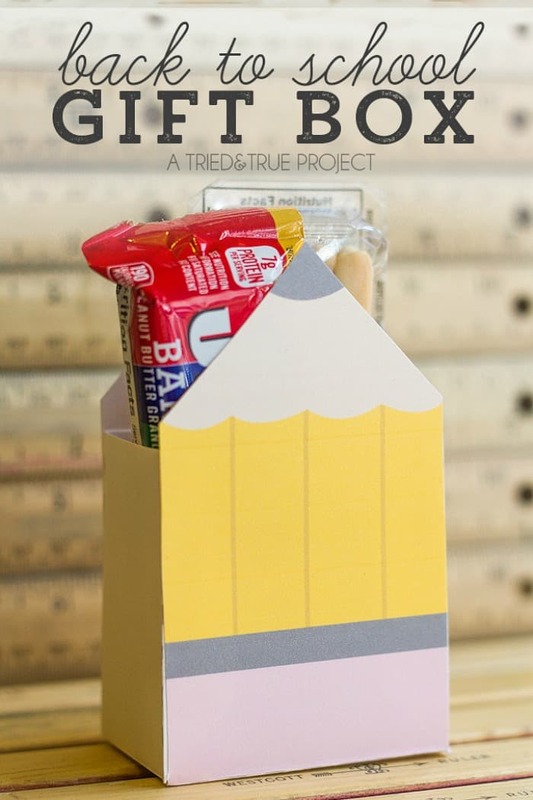 Tried & True’s printable gift box is a great way to package teachers’ gifts. 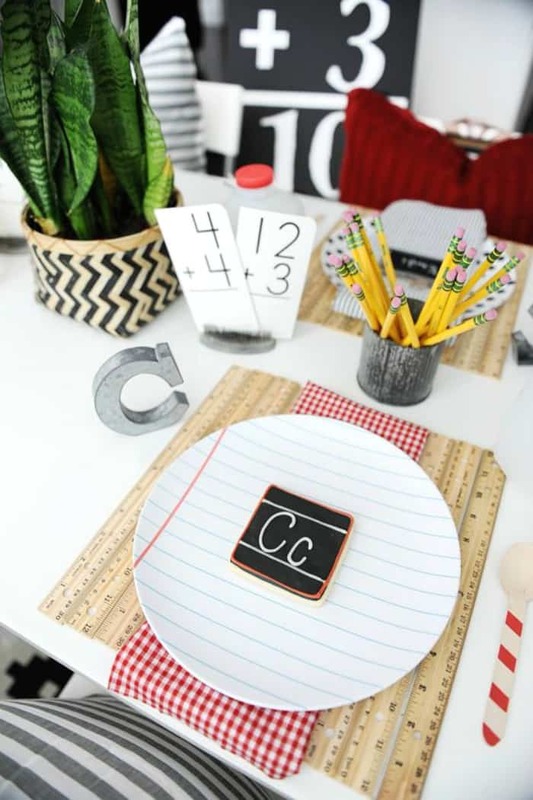 Dress up your back to school breakfast with Pink Peppermint Design’s personalized plate idea. Hello! 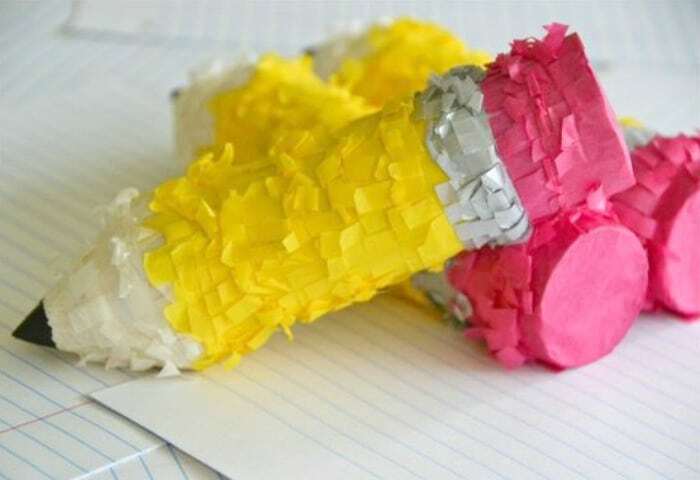 Mini pencil piñatas from Jacks & Kate! Clever cupcakes from Dukes & Duchesses. 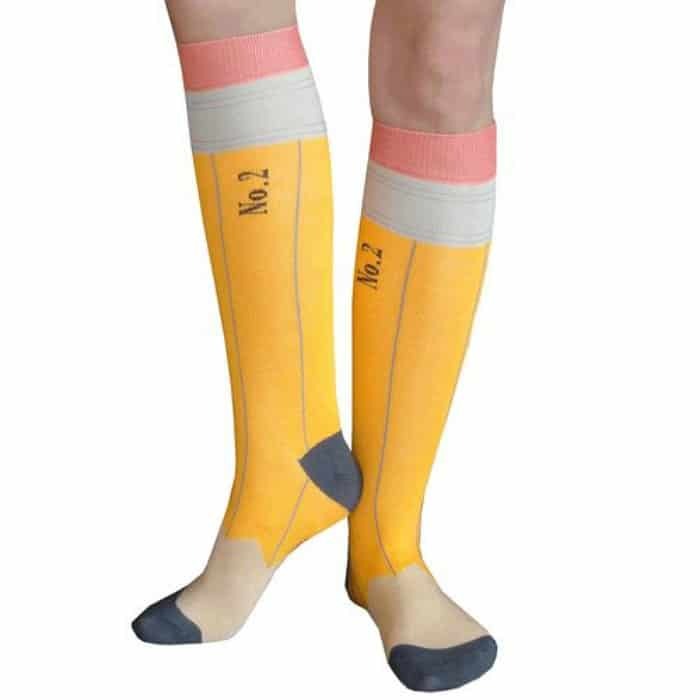 I love these socks from Chrissy’s Knee High Socks. 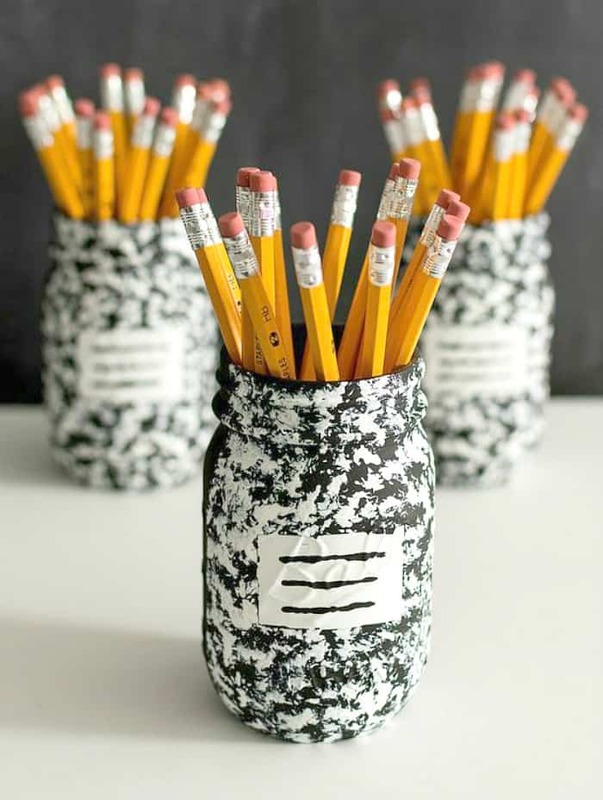 Throwing it way back with Mason Jar Crafts’ comp book jar DIY. 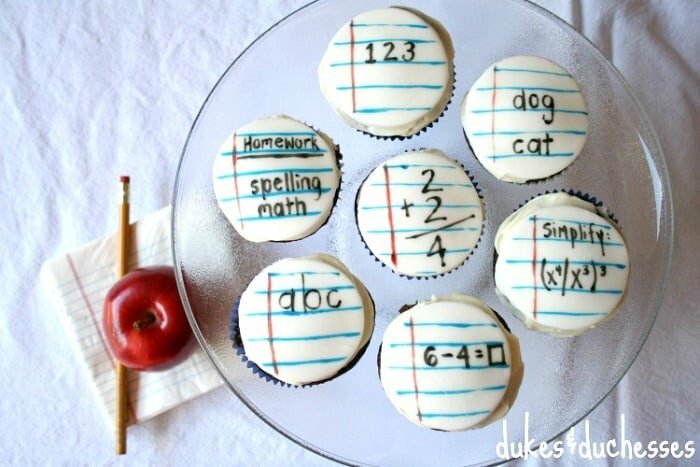 We’d like to send a big THANK YOU to Dawn of Not Just A Mommy for gathering all these fun Back To School Party ideas for us. 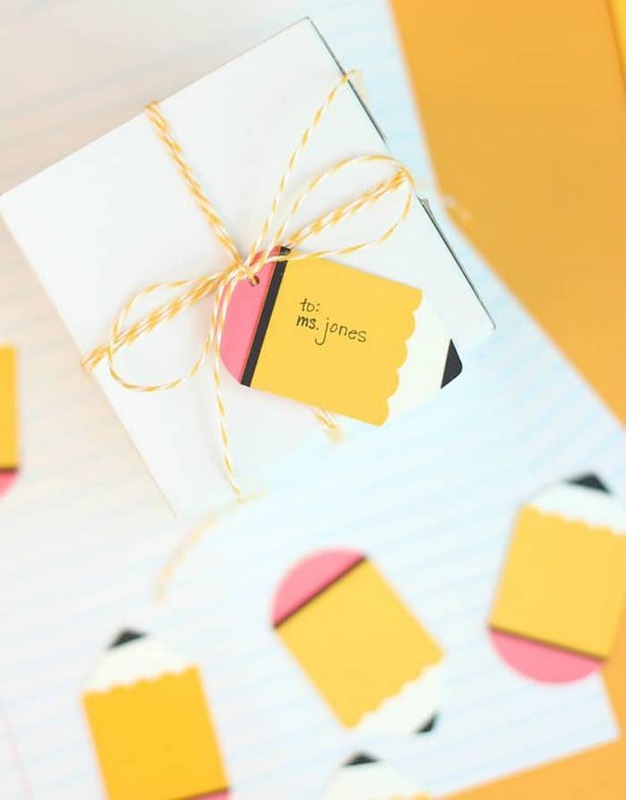 Over on Dawn’s blog you’ll find plenty of party ideas for all of life’s celebrations. I hope you’re ready to plan a party because she’s sure to leave you inspired! 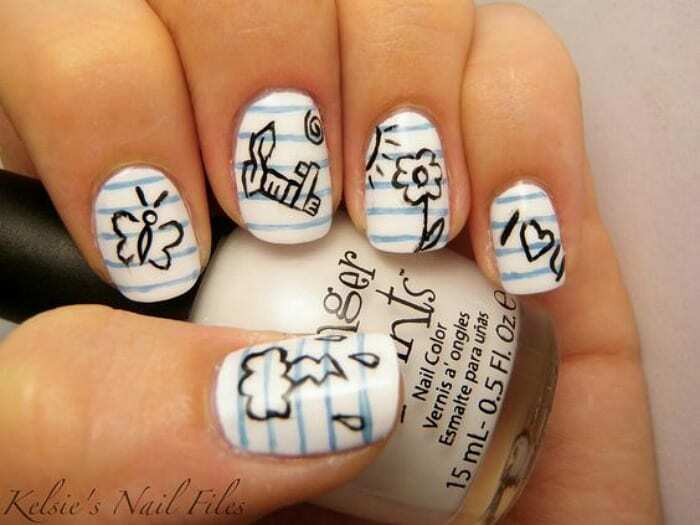 Be sure to follow her on Facebook, Pinterest and Twitter for even more creative ideas.